Browse: Home / China and U.S. in Davos. Who’s the real trade protectionist? China and U.S. in Davos. Who’s the real trade protectionist? The World Economic Forum (WEF), a global political meeting for around 3,000 delegates from the world of business, politics, finance and media, is held each year in the town of Davos, Switzerland. Davos 2018 runs from January 23 to 26 under the theme of “Creating a Shared Future in a Fractured World” and will be the 48th forum to date. The world’s most powerful politicians and business leaders are among the 2018 attendees. Major speakers to take the chair include US President Donald Trump, German Chancellor Angela Merkel, UK Prime Minister Theresa May, French President Emmanuel Macron, Italian Prime Minister Paolo Gentiloni and Indian Prime Minister Narendra Modi. 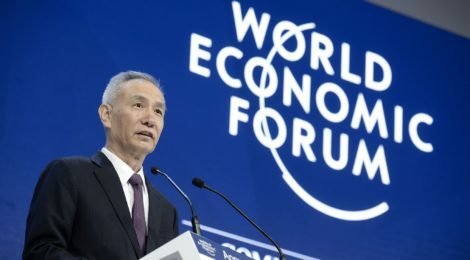 President Xi Jinping is not attending Davos this year, and China will be represented by Mr Liu He. Mr Liu is the member of the political bureau of the CPC central committee and the director of the Office of the Central Leading Group for Financial and Economic Affairs. On Wednesday, Mr Liu said that China’s economy was improving and the country was on course to become wealthier. He also called for joint efforts to address global issues ranging from climate change to fighting terrorism. As said by President Xi Jinping during the 19th National Congress of the CCP, China is entering a New Era, meaning that the focus of policymakers will gradually switch from high growth to high quality development and on structural improvement rather than quantity expansion. Chinese government is facing three critical battles: 1. Preventing and resolving the major risks in China’s economy (financial risks, shadow banking and corruption) 2. Poverty reduction (China’s goal is to eradicate absolute poverty in the next three years); 3. Controlling pollution with a switch to an economy sustained by green and low carbon development. 1. Opening up of the financial sector 2. Opening up of the manufacturing sector and some service sectors; 3. Protection of international property rights; 4. Increase of imports (reduce import tariffs on more than 187 products, gradually lower tariff rates on imported automobiles and host the first China International Import EXPO in Shanghai in 2018). China’s financial system is “basically sound”, but “shadow banking and hidden debt for local governments are serious problems.” Mr Liu pledged to “open up the financial sector” and deepen integration with global trade rules. Policy watchers all over the world are monitoring closely US President Donald Trump’s “America-first” approach, which could pose a serious threat to the global economy. Trump has recently revealed a national security strategy with a heavy emphasis on what his administration portrays as an existential economic competition with China. The new strategy looks like the recipe for a potentially damaging trade war between the world’s two largest economies. This week the US imposed tariffs on imports of solar cells and washing machines and Washington seems to be ready to intensify its measures to prevent what it views as an unfair economic competition from China. There is particular concern about the risk of a trade war with China, since it could have wide economic consequences and complicate US measures conducted with China to tackle North Korea’s missile and nuclear program. Major US concerns towards China are the alleged uneven intellectual property protection, forced technology transfers, invasive cybersecurity requirements, acquisitions of US technologies critical to national security, and other discriminatory practices limiting the US companies’ access to the Chinese market. 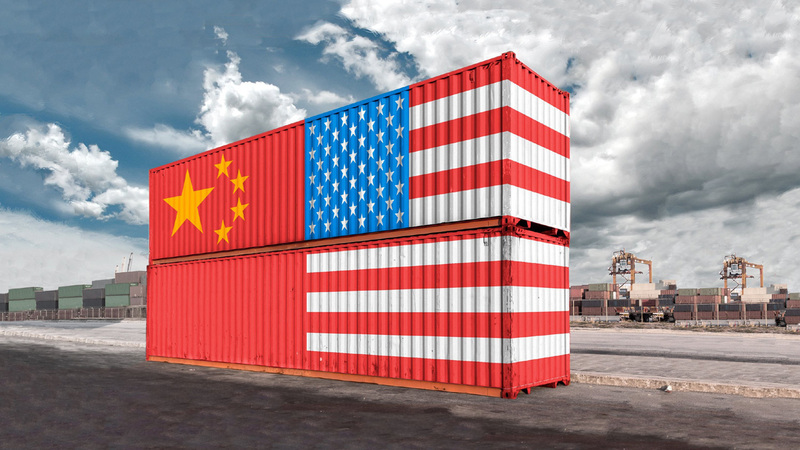 However – as many China watchers suggest – launching a frontal assault to compel China to change its trade practices would be highly counterproductive. In fact, the US exports more to China than to Germany and Japan combined. The US and China alone account for nearly a quarter of world merchandise trade and a fifth of global services trade. Chinese politicians know how to respond in sectors where the US stands to lose a great deal, such as agriculture, technology, and financial services. It looks like today’s myopic focus on trade deficits has left US allies and partners in Asia with no choice but to move forward without the US in advancing critical economic architecture, starting with the Trans Pacific Partnership trade agreement.